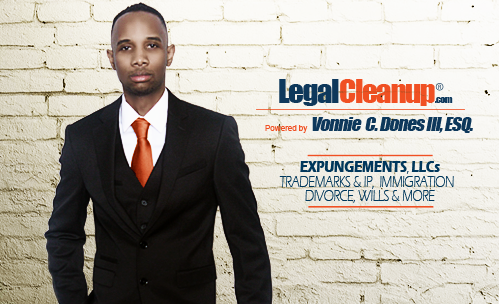 Principal Attorney Vonnie C. Dones III is the founder of Legalcleanup.com. Prior to forming Legalcleanup.com, Dones, as a legal assistant, assisted the Director of the City of Cleveland’s Office of Fair Housing & Consumer Affairs (FHCA) in representing and protecting Clevelanders from consumer scams, fraudulent business practices, and unfair and unequal treatment in housing. Dones provided consumer protection in the following areas: Unfair and deceptive sales practices, fraud, new home construction, debt collection defense, landlord-tenant disputes, breach of contract, warranty disputes, refunds, home solicitations, home repairs and renovations, and contract cancellation. His experience with the city exposed him to countless complex and unique fraudulent business practices and inequities faced by consumers, in which he now draws upon to help his clients resolve their legal issues. Dones is admitted to practice law in the federal and state courts of New Jersey and in the state courts of New York, Texas, and Washington, D.C. Dones has handled hundreds of civil action, expungement and/or record sealing cases throughout New York, New Jersey, Texas, and DC. Dones has worked in marketing, advertising, and promotion with entertainment artists such as Soulja Boy, Teirra Mari, Roscoe Dash, Trina, and more. He is the founder of a marketing and entertainment promotions and booking agency, which has been endorsed by Rick Ross, T.I., Meagan Good, Kevin Hart, Tom Arnold, Jay Mohr, Henry Cho, Whitney Cummings, Chris Delia, Bun B, Young Jeezy, John Witherspoon, Lupe Fiasco, Vince Young, T-Pain, Paul Rodriguez, Keri Hilson, Trey Songz, Mario, Bobby Brown, Ralph Tresvant, Mos Def, and more. Dones has over 20 years of experience in the music industry. Graduated from the University of Houston Central (B.A., B.A.) and received his law degree (Doctorate in Jurisprudence) from Cleveland-Marshall College of Law. Dones attended the University of Houston Law Center as a transient law student. Licensed to practice law in New York, New Jersey, Texas, and Washington, D.C.. Member of the American Bar Association, New York Bar Association, New Jersey Bar Association, Texas Bar Association, New York City Bar Association, and Criminal Justice Section of the New York Bar Association. Enjoys reading, teaching, canyoning, biking, graphic design, website design, music production, studio engineering, videography, artist development, and keeping his wife, daughter, and family happy. Vonnie C. Dones III, ESQ. is a law firm that offers legal services online. We can help you with your legal matter without the hassle of traveling to an attorney’s office. You receive the legal benefits, personalized service, confidentiality, and data protection of a traditional law firm for a fraction of the time and cost. Our cutting-edge, 24/7 web-based legal services are affordable, task specific, and easy to use. The Law Firm of Vonnie C. Dones, III ESQ. at LegalCleanup.com offers legal services in New York, New Jersey, Texas, and Washington D.C. primarily in the following practice areas: Expungement / Record Sealing Law, Divorce Law, and Entertainment Law. We provide Attorney-Prepared Forms and Documents (with Attorney Review) in the following Document Categories: Corporations and LLCs, Deeds, Living Trusts, Family Law and Divorce, Landlord-Tenant, Loans and Collections, Miscellaneous Legal Documents, Name Change, Personal Service Agreements, Sale of Goods, Wills, Power of Attorney, and Estate Planning. In addition, our law firm offers legal services in the following federal areas of law: Immigration, Intellectual Property, Internet Law, and Trademark and Copyright Registration. At Vonnie C. Dones III, ESQ., we think outside the box to provide our clients with the most practical and efficient solution to their legal needs. We are a law firm that provides legal services online. As a result, our clients may avoid the unnecessary legal costs associated with hiring a lawyer who provides “full legal” services only. Our online delivery model provides a more efficient way of servicing clients with a limited budget. What may have taken a client in need of record-clearing much longer to do at a much higher cost, will now take a fraction of the time at a fraction of the cost. Many law firms in the traditional sense, do not take full advantage of new technological advances that reduce the time and money associated with delivering legal services. Our online delivery model does not sacrifice or diminish the quality of workmanship, unlike unlicensed legal professionals or legal form companies who cannot provide legal advice, coaching or counseling, and can only fill-out basic forms on a person’s behalf. We cut the costs associated with delivering legal services while maintaining the integrity, standards, and quality of legal services. Less time, more efficiency, equals more cash in our client’s pocket. We make the process easier for our clients by simplifying document preparation. By integrating smart technology with legal advice, coaching, support, assistance, and document review, we provide our clients a legal solution that is user-friendly and personalized. We offer our clients a budget-conscious choice. Our online document preparation system coupled with attorney support makes the record-clearing process easier and cheaper. While our online model of delivering legal services is not entirely new to the legal profession, our added features and customized packages provide a more cost-effective, safe, and efficient way of serving clients with legal needs. Again, we offer our clients the option to choose the package that fits their budget and desired level of attorney support. In addition, we provide our clients with a secure, encrypted online client account. Our clients sign in to their secure account and interact and/or communicate with their lawyer. It is user-friendly and efficient. Our clients can gain access to their online account from their computer, notebook, or tablet while sitting at home enjoying a cup of coffee. Clients are given the options of communicating via e-mail or web cam, (i.e. Skype). Clients can send and receive documents, electronically sign documents, and ask questions about their legal matter(s) at their convenience. Our online legal service is 24/7 and we respond to all messages quickly. Our clients have the advantage of having a licensed attorney by their side guiding them along the way.